The problem? He's coming back for another fish tomorrow, and the next day, and the day after that. Too many organizations fail to empower men (and women) to fish on their own. There exists a powerful opportunity to improve the long-term outlook for every client we reach, whether we operate a nonprofit or a for-profit. And consumers recognize the difference. What is the long-term impact of your work? For the individual? For the community? My child has a rash that is concerning. I call the local pediatric clinic after searching online for which one is in my plan. I make the earliest possible appointment for tomorrow afternoon. It's the only appointment available, but I will be at work, so I ask my husband to handle it. They drive 15 minutes to the clinic, fill out four forms, and wait 15 minutes for the physician. The nurse rooms my daughter and they wait for another 10 minutes. The physician looks at the rash for 5 minutes, recommends an over-the-counter cream, and then bills the insurance for $180. After contractual adjustment, we pay $153 a week later. The rash has still not cleared and my daughter came down with a bad cold several days after the visit...my own throat is a little scratchy. Consumers, within the healthcare sector and beyond, are beginning to demand a different experience. They recognize when they are authoritatively told what to do and when they are educated, cared for, and empowered. The latter is a much more satisfying experience. In what ways are you only giving out fish? Your customers may be demanding a fish. They may genuinely appreciate the fish. 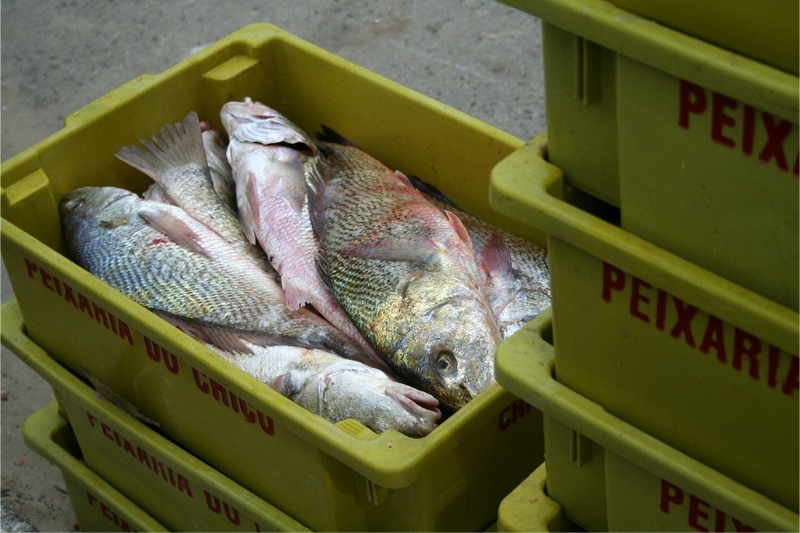 But, how you could add in the resources, tools, and approach to truly empower them to fish? This is especially imperative within mission-driven organizations. I can hand out a box of food at the local pantry to an impoverished single mother of four and feel really good about it. But, what will that mother do when the food in the box runs out in a few days? Will she have a job, transportation, child care, a living wage, a safe home, and the ability to buy or grow her own food? The next step could be as simple as a job skill training once a month in the pantry warehouse or posting the job ads and relevant wrap-around services on a bulletin board where clients wait in line to pick up their box. For-profits get caught in the fish giveaway trap as well. As a consultant, I may undermine demand for my own services by offering do-it-yourself resources and tools, but the truth is: If you serve your customers well and empower them to do more, you will always be in demand. Meanwhile you will empower yourself to do more by removing dependence on a limited asset...you. I hire a CPA for my taxes to avoid learning all the ins and outs of various IRS schedules, but I demand that my accountant educate me on how to manage my personal finances better. I've referred nearly a dozen friends and family members to my current CPA because he exudes this rare quality. The organizations who will rise and stay at the top aren't creating dependency. They are creating empowered evangelists who sing their praises, and become donors or referral sources. Are your teaching your clients to reel in their own tuna? I always imagined that once I reached the executive level, I would be free to focus on the bigger picture. Sadly, the C-suite is not a rooftop loft with inspiring views and glass walls where we hatch innovative ideas and brilliant plans with scented dry-erase markers. The reality, for many executives, is a never-ending load of administrative oversight with a fairly constant interruption of “not my job” problems that land on your desk as the last stop. After all the daily organizational maintenance, how do you ensure you stay ahead of the curve — or, better yet, pave the way in your industry with new and better solutions? Whether you’re naturally entrepreneurial — and your inner innovator has simply been stunted by the mundane — or you’re a traditional administrator needing to solve entrenched problems, you can quickly incorporate inventive thinking into your daily repertoire with a few interventions. 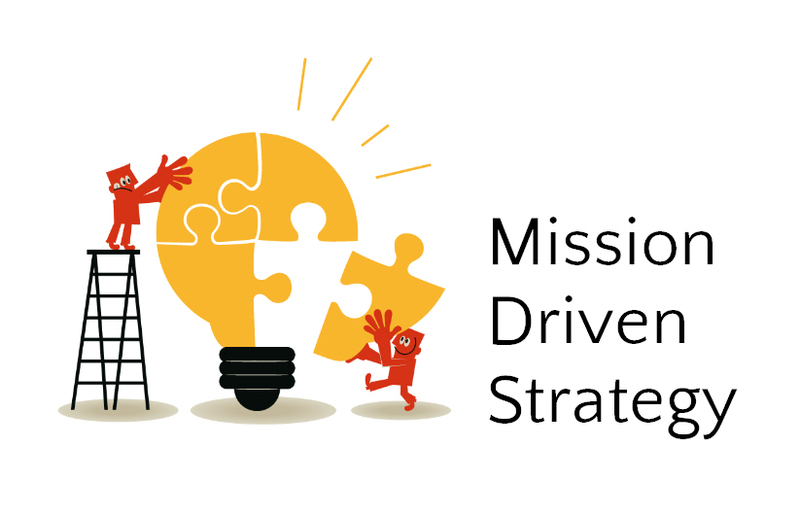 "Mission drift" is typically associated with organizations who inadvertently or inappropriately lose focus of their mission and begin dabbling in other areas, although organizations can and at times need to consciously shift directions. Avoiding unproductive mission drift can be difficult, especially for small nonprofits run by bleeding hearts (no offense intended, we all bleed for certain causes). A startup nonprofit that I have worked with provides a very specific service to a very low-income, disenfranchised, and predominantly immigrant population. They exist to serve X need, but in the process they get to witness all of the other needs in the alphabet, from homelessness to sexual abuse to malnutrition. During the holidays, their devoted team members were particularly vulnerable to mission drift and there were several instances of giving away cash from personal wallets and brainstorming about a giving tree or free food cabinet. Why is this a problem? It isn't...if your nonprofit exists in a vacuum where no other community services are available and you have endless resources. In this case, you're simply becoming more comprehensive. Drift away! However, in most cases this type of band-aid reaction causes more harm than good. Not only do we lose focus on what we need to do to serve X need to the best of our ability, we also distract our target clients from accessing the organizations that are experts at providing the ancillary services they need. The homeless client is better served by a referral appointment with the local housing provider than with the twenty that was slipped to her out of sympathy. On the other end of the spectrum, when you have bleeding wallets or business-oriented executives, drift is prevalent for different reasons, most often the draw to cash. Unfortunately for many human services organizations, the glow of government super grants is often too tempting to turn away from. Instead of focusing their efforts on serving X need, I witnessed as an organization loaded up their existing team members with the task of launching new services in an arena they had zero expertise in. Why? Because said services were in vogue and $100M+ government contracts were out to bid. The organization didn't even get an award, but the program had to be in existence to apply and it would be too much of a black eye to turn back now. Needless to say, they aren't serving their new side mission well and the mirage of increased credibility will fade with the poor outcomes and the soon-to-end service fad. The above examples are highly prevalent in the nonprofit sector. Our causes naturally come with other symptoms, whether we start off working toward clean air or ending cruelty to animals. Funding is deliberately used as a mechanism for change, our causes attract passionate leaches who hope we can add their cause to our momentum, and nonprofit work attracts employees who can't help but see how we could do more. In fact, nonprofit executives are constantly accused of neglecting their duties. As COO of a behavioral health nonprofit, I had the unsavory duty of working with the endless stream of government auditors. One particular auditor was of the bleeding heart variety and should have become a prosecutor with her ability to latch onto a small mistake and make it into murder. However, they all lacked perspective. We were constantly told we needed to address the barriers to successful treatment outcomes. From creating veteran-specific PTSD programs to posting outreach workers at the homeless shelters to providing referral specialists to the emergency rooms, there was no shortage of ideas (which of course came across as demands without funding). When you fragment your organization to try to solve every problem associated with your cause, you cannot be effective. The perspective that nonprofit organizations function to solve all of the problems that come along with their cause needs to end. Why do we get involved in a cause? 88% of us give to charity each year. A quarter of us actually go out and volunteer our time. 10% of us have chosen to work for a nonprofit. We want to change the world for the better. Perhaps you think about your involvement in a more humble way. You're connected to a cause because you want to do "a little good". You hope to have a small part in improving air quality or feeding the hungry in your home town. But the deeper drive is that the reality we are faced with, whether it be kids having asthma attacks at recess or a decorated veteran going without a meal, is intolerable. So intolerable that we are willing to take action, even if just through a $10 donation or spending an hour serving soup one evening a month. It is unbearably frustrating that more than 16 million American children go without something as basic as adequate food while Apple releases unimaginable innovations in technology and Facebook made it possible to share our latest meal with strangers in real-time a decade ago. How have we not solved these basic social problems by now? Uncharitable author, Dan Pallotta, sheds light on the root problem; the giant wall that stands in the way of world-changing solutions. Intrigued? Pallotta recently spoke to the Utah Nonprofits Association in depth. It's an hour that will change how you donate, where you volunteer, and why. If you then share it with a few people you care about, maybe we can truly empower our nonprofit organizations to begin changing the world. Our biggest problems don't need a bandaid. They need ground-shaking, innovative solutions that require risk, experimentation, and failure. But, we've been trained to look for reverent organizations who simply transform 90% of our donations into direct relief. Instead, we need to look for organizations that will multiply our donations into a force for change that makes more than a dent in today's suffering while also trying new approaches to prevent tomorrow's. Thank you to Lauren at the Community Foundation of Utah for forwarding the UNA video (the second it was available)! Many organizations, especially non-profits, are lacking an innovation engine - the capability to identify and invest in long-term strategic opportunities that produce growth. 1. Their primary motivation is influence and freedom, not money. 2. They're future-oriented and passionate about learning. 3. They "greenhouse" ideas - carefully tending to seeds until they have a strong plan. 4. They engage in "visual thinking" - formulating a series of solutions from the initial spark. 5. They are able to "pivot" - balking momentum in favor of better direction. 6. They're confident, but humble with high self-awareness and sense of purpose. In a firm with 5,000 employees, we’ve found, there are at least 250 natural innovators; of these at least 25 are great intrapreneurs who can build the next business for your firm." That means that only 5% of your workforce are natural innovators and one half a percent are great intrapreneurs. If you don't have thousands of employees, you may be looking for a needle in a haystack, which makes it all the more important that you intentionally prepare for and nurture these hidden gems, taking advantage of their entrepreneurial combination of talents. Foster a culture of grassroots best practices, even if you have a long way to go. Intrapreneurs want to be on a winning team. If you involve your frontlines in steering toward a better direction, your natural innovators will come out of the woodwork. Recognize intrapreneurial qualities and connect your innovators with a mentor. Intrapreneurs question the status quo, which often isn't rewarded in management meetings at lower levels. Connect them with a mentor who can support their ideas and refine their approach to change leadership. Recruit several intrapreneurs onto your executive leadership team. Without change leadership, your executive meeting is all talk with depressing status updates. Intrapreneurs in leadership positions are prone to burn out. Support these executives with enough authority and a team so that they can effectively tackle strategic initiatives with success. This is your innovation engine. 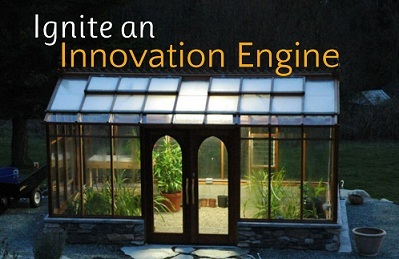 Channel your innovation engine's ideas into an ambitious goal and gift it back to them. Big projects that will have a big impact are bright, shiny objects to intrapreneurs. I was always excited to be part of the process of strategic innovation. Create a safe environment for experimentation and revisions. Too many leadership teams try to change on demand, doling out deadlines and metrics to their innovators, which in turn deters creativity and the ability to change course when needed. Lead with integrity. Nothing kills loyalty quicker than deception and loyalty is a cultural pre-requisite for the change that your innovation engine needs to initiate. Adhere to strict values and take swift action to remove negative influences in your culture before they drive your talent out. The concept of entrepreneurial employees isn't necessarily new, but it's gaining more attention because it's easier and more rewarding than ever before to leave your 9-to-5 and start your own business. Your best intrapreneurs are an online form and a quick website away from complete autonomy. That being said, people are social creatures who want to be part of something bigger than themselves. By creating and nurturing an innovation engine, your organization will gain enormous competitive advantage over time. Plus, you will likely keep your intrapreneurs from going rogue longer and attract a steady flow of new ones to fill those big shoes.